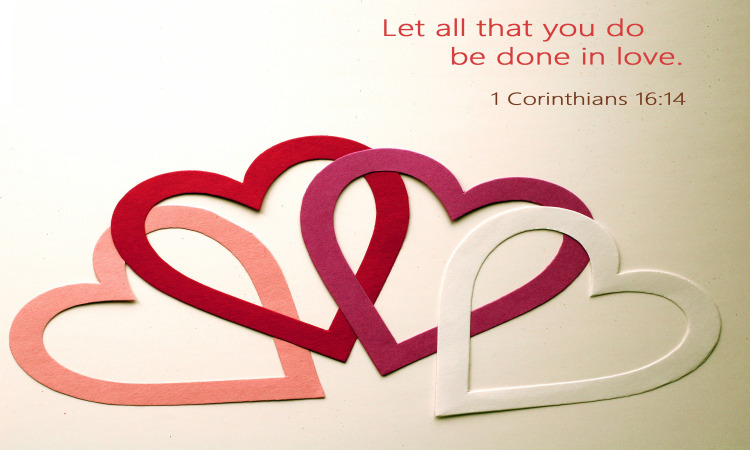 Ephesians 5:21 : Submit to one another out of reverence for Christ. Wives, submit to your husbands as to the Lord. For the husband is head of the wife, just as Christ is the head of the church, His body, of which He is the Savior. Now as the church submits to Christ, so also wives should submit to their husbands in everything. Husbands, love your wives, just as Christ loved the church and gave Himself up for her to sanctify her, cleansing her by the washing with water through the word, and to present her to Himself as a glorious church, without stain or wrinkle or any such blemish, but holy and blameless. In the same way, husbands ought to love their wives as their own bodies. He who loves his wife loves himself. Indeed, no one ever hated his own body, but he nourishes and cherishes it, just as Christ does the church. For we are members of His body. “For this reason a man will leave his father and mother and be united to his wife, and the two will become one flesh.” This mystery is profound, but I am speaking about Christ and the church. Nevertheless, each one of you also must love his wife as he loves himself, and the wife must respect her husband. One of the causes of conflict in marriage is the issue of misunderstanding. By nature, we are all designed to think, function and manage things in a unique fashion. God’s master piece is unique as we are unique. We are all the creations of His hands. One thing that the devil uses to destroy marriage is by creating an illusion of disbelief – which is the opposite of faith. When there is a gap in communication, there will be lack of understanding of the ideas and unique perceptions of one’s spouse. In other words, when marriage partners stops communicating effectively to each other, there will be a chance for misunderstanding. Misunderstanding also comes from the lack of faith on one another. As human beings we are entitled to thinking in a different way than our spouse. This way we can fulfil our spouse by suggesting better ways of doing things. Marriage is not about one person (the spouse) performs whatever he/she wants without consulting the other constituents of the marriage(Holy Spirit and the spouse ). Marriage is beautiful and peaceful when Holy Spirit takes his place that is being the Head of the House and when the husband and wives follow His command and His voice in every aspect of their lives. Husbands should lead by example not by force. By example, I mean with love and sincerity. By submitting himself to his family as he submits himself to Christ. Devil will never get the chance to destroy marriages if we learn how to be humble in the eyes of God and people. If we know how to accept the ideas of others and work out our differences. Our ignorance in the areas of the word of God can lead us in to all manners of troubles. The best thing you can do to get wisdom is to humble yourself before God. That is what David and his son had done before God anointed them with the Spirit of wisdom and understanding. Jesus humbled himself before God and God raised him to the highest place in the Spiritual Realm. Fixing broken marriages is not easy if we approach it in the wrong direction. The right way to solve our problems is by getting closer to the Word of God to listen what it has to say concerning our marriage. God created marriage and no human being can fix it when it is in jeopardy. God’s is specialized to conduct any kind of operation to rescue your marriage. The problem is we don’t come to him when we have a mess in our lives. We think that people, who cannot even solve their own problems, can give us relief to our pain. If we get lucky, the best thing we can get from advices of others is a temporary relief not a permanent solution. hat has nothing to do with healing the sickness. Consulting the so called “Counselors”, which I completely disagree about this word, is like getting pain killers. They have no solution. They are guessing how to solve your issues. They don’t even have a thorough understanding of your marital issues. There is no other counselor other than the Spirit of God living in each and every one of us. He knows you more than any human being. He understands you better than your mom understands. He won’t judge or criticize or take an advantage of you. There are no strings attached when Holy Spirit councils you. Many don't approach you the same way He does. I doubt it if you can find one in this wicked world. Their counselling is full of judgment, criticism and gossip. They open doors to other issues in our marriage by disseminating the secrets of our marriage to others. God made you and your marriage. Don’t allow humans to destroy your marriage. Marriage breaks when the husband or wife stops listening to the word of God and stops communicating to the Spirit of God through prayer. There is no other efficient way of destroying marriage others than this that I can think of. By the way, long before divorce, there is a sign of arrogance, the spirit of idolatry, sexual impurity, lust, and ignorance on the word of God manifested at least on the husband or wife. These things are the fruits of the devil not the Spirit of God. That is why we need to examine ourselves ahead of time when these signs appear. The cost of maintaining our marriage is much higher than we can anticipate. Therefore it is wise to work on prevention of these things before it is too late. May God bless you and protect your marriage from any form attack from the evil and bless it till he comes back! Amen!